Welcome to this CHARMING 3 bedroom 2 bath 1500 SQ FT block home located in Meadow Lawn. This cozy home is situated on an OVERSIZED CORNER LOT on a beautiful SERENE POND. MOVE IN READY and NO HOA FEES!! Warm and inviting with a wood burning FIREPLACE and BUILT IN shelving in the open living/dining room. Large windows allow an abundance of natural light to flow through the entire home and crown molding finishes it nicely. Open kitchen boasts a breakfast bar, wood cabinets, wine rack, subway tile backsplash, white appliances and newer French doors leading out to the fully fenced in spacious backyard. You will love entertaining family and friends on the pergola/ WOODEN DECK and side patio all overlooking the TREE LINED large pond. The good sized sunny master bedroom showcases a CUSTOM shelving walk in closet and tile flooring and the bath has a DOUBLE VANITY and upgraded tile shower. Bedrooms 2 and 3 offer OVERSIZED DOUBLE CLOSETS with carpeted floors and shares a bathroom that has a shower over tub AND PEDESTAL SINK. A new A/C system was installed in 2017. An interior laundry room with cabinets and outside access door make this home complete. 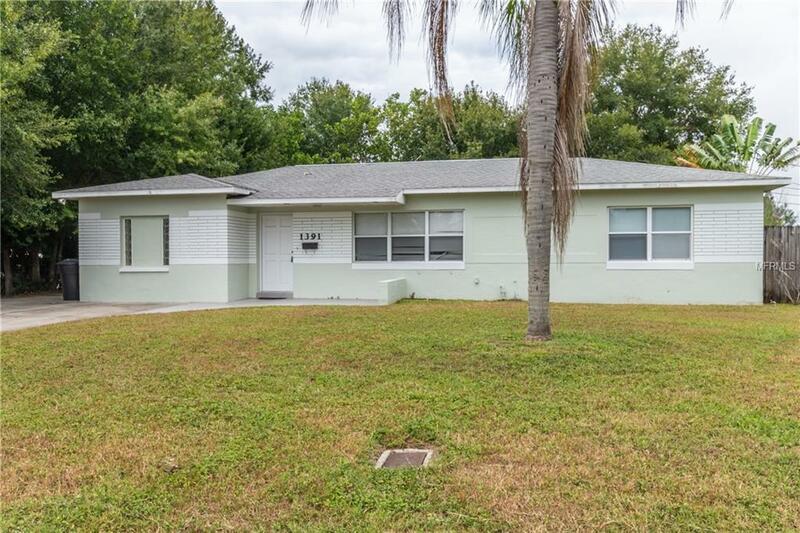 Easy access to 275 and Gandy Blvd, and is close to nearby shopping, dining and entertainment. Come enjoy the peaceful view and sounds of nature!